Welcome to the Rochester Guitar Club! ♫ Welcome to The Rochester Guitar Club, an informal group for the appreciation and enjoyment of guitar music, lore and playing. Come on out to a meeting! They are normally held on the third Monday of each month, usually in the Red Room next to the Asbury Methodist Church, 1010 East Avenue in Rochester. You are welcome to come early and meet with fellow members. ♫ Check our event calendar to verify meeting times and locations and to learn more about guitar music events in and around Rochester as well as other guitar-related information. Free Guitar Strings for New RGC Members! ♫ Bernunzio Uptown Music is now offering a one-time, free set of guitar strings to new, first-time RGC members. Join RGC at any meeting and receive a coupon valid for a free set of guitar strings at Bernunzio Uptown Music. Click here for more membership information. This offer is for new members only. How about a little bit of Renaissance Spanish music? Here’s the great Catalan early music specialist Jordi Savall performing “Las Folías,” a set of variations based on the common early music chord progression along the lines of i-V-i-bVII-bIII-bVII-i-V / i-V-i-bVII-bIII-bVII-i-V-i. If you don’t follow that notation, don’t sweat it, just enjoy the beautiful music. Apr 15, 7-9 p.m. RGC PresentationMeeting in the Red Room located in the house next to Asbury Methodist Chuch, 1010 East Avenue - Ken Luk will present a timely tribute to Ida Presti. The presentation will be followed by an abbreviated round robin. (see calendar entry for more details) NOTE RETURN TO OUR USUAL VENUE! April 20, 8-10 p.m., RGC member, Kinloch Nelson ~ A new Kinloch Nelson CD/Vinyl LP: “Partly On Time” - Unreleased Recordings 1968-1970 Record Release Concert at the Bop Shop. At the request of those who couldn’t get in for the first show, Bop Shop Records wants to do it again! Celebrating the world-wide release of my new recording “Partly On Time - Unreleased Recordings 1968-1970” on Tompkins Square Records. Available on vinyl LP and CD. Limited Seating. first come-first seated. $10 at the door only. Guitarists! if you or any of your friends are also closet mandolin players, we’d love to have you join us for this new monthly gathering. 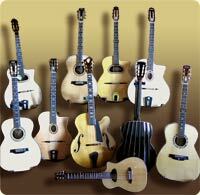 We’re looking for mandolins, mandolas, mandocellos, octave mandolins, guitars and basses. For a link to to our current scores, click here. We will meet the fourth Saturday monthly. This will be our third meeting. April 28, noon, Guitar Salon at Java’s. Bring your guitar and a song or two! May 17, 7 p.m., Stephen Bennett, concert on harp guitar in the Red Room, 1010 East Avenue, sponsored by RGC. If you are interested in attending this event, please use the Contact Us button on this site to let us know. See the calendar entry for further details. May 5, 7-9 p.m. Classical Guitar Night at the Little Theatre Cafe. May 18, 11 a.m. - 1:30 p.m., Stephen Bennett, workshop on harp guitar in the Red Room, 1010 East Avenue, sponsored by RGC. If you are interested in attending this event, please use the Contact Us button on this site to let us know. See the calendar entry for further details. ♫ A description of most RGC’s past events as well as other guitar events of interest can be found on the Articles page going back to 2007. Interested in playing in a guitar ensemble? ♫ RGC welcomes your opinion and ideas for club activities! 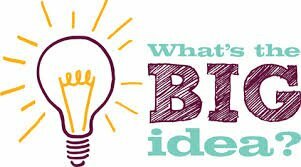 Share your suggestions or participate in planning with the Core Group by clicking on the Contact Us button on this website. RGC is preparing an on-line Survey that will soon be sent out to evaluate your thoughts about the Club. ♫ That’s it for now. Keep your eyes on this website for announcements of RGC events as well as other guitar news! Send any news you may have to us that you think should be included on the calendar. ♫ See you at the next RGC meeting, Monday, April 15 in the Red Room located next to Asbury Methodist Church, 1050 East Avenue! Opinion Survey Form that you can fill out and bring to the next meeting. Website by Red Beagle Web Development . RGC Presentation & Round Robin Meeting - Note return to our regular venue for this meeting! For more info check our Calendar.